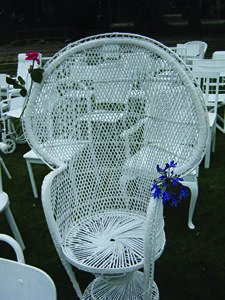 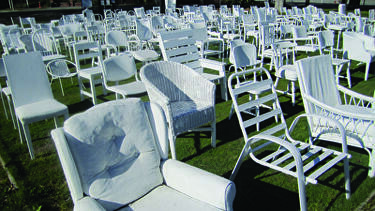 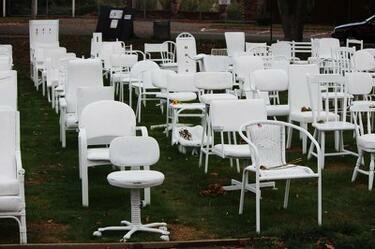 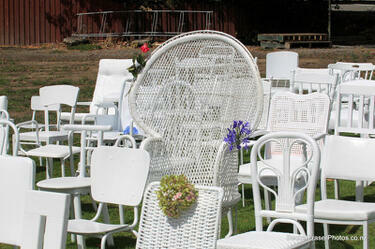 A photograph of painted chairs in the '185 Empty Chairs' memorial installation. 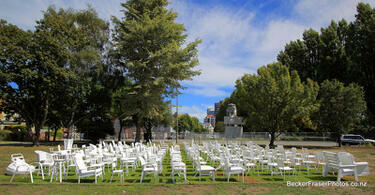 A photograph captioned by BeckerFraserPhotos, "Peter Majendie's installation '185 Empty Chairs', which remembers the 185 who died as a result of the 22nd February earthquake. 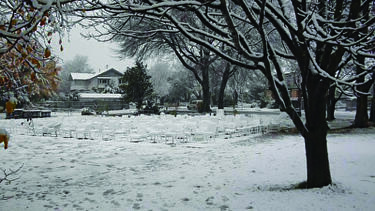 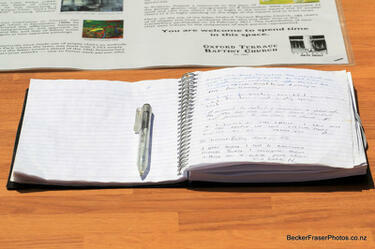 The site is the demolition site of the Oxford Terrace Baptist Church". 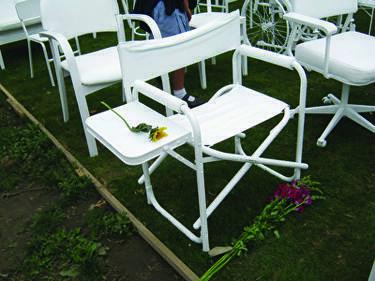 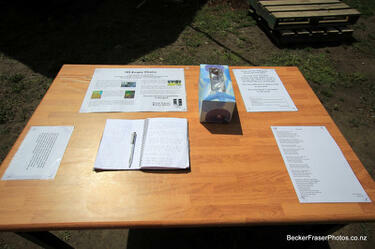 A photograph captioned by BeckerFraserPhotos, "The memorial table at Peter Majendie's installation '185 Empty Chairs', which remembers the 185 who died as a result of the 22nd February earthquake. 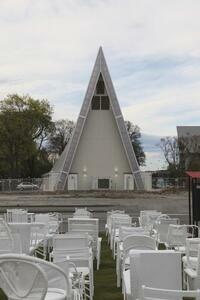 The site is the demolition site of the Oxford Terrace Baptist Church". 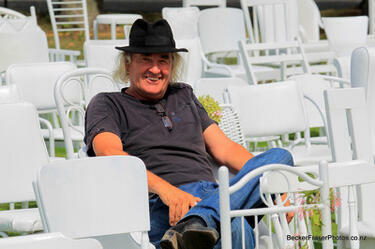 A photograph captioned by BeckerFraserPhotos, "Peter Majendie, in the middle of his installation '185 Empty Chairs', which remembers the 185 who died as a result of the 22nd February earthquake. 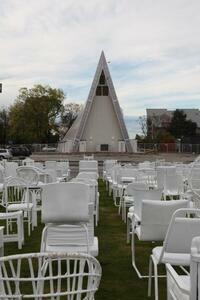 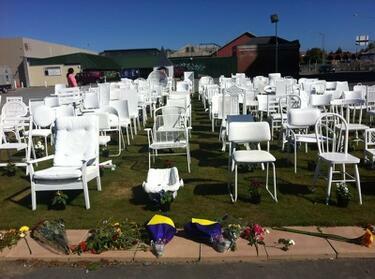 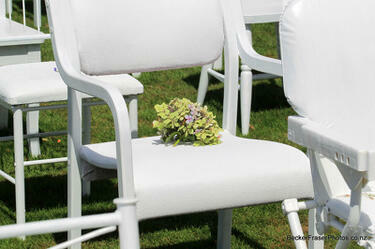 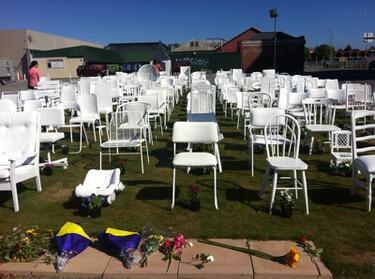 The chairs are different so that you can find a chair to remind you in some way of the people who died. 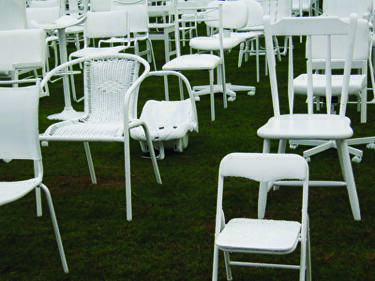 Peter told me about the important paintings of chairs, such as Van Gogh and Gaugin's paintings of chairs and the drawing of Dickens's Chair published above his obituary that influenced his decision to remember the lost lives with chairs". 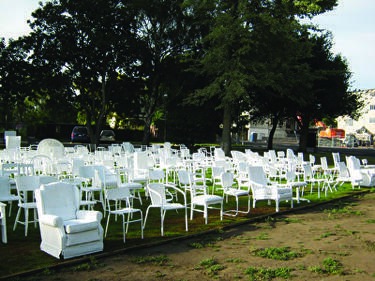 A photograph of Peter Majendie's memorial artwork '185 Empty Chairs' on Madras Street, with the Transitional Cathedral in the background. 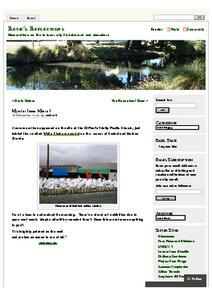 An entry from Ruth Gardner's Blog for 13 December 2013 entitled, "Mysterious Mural". 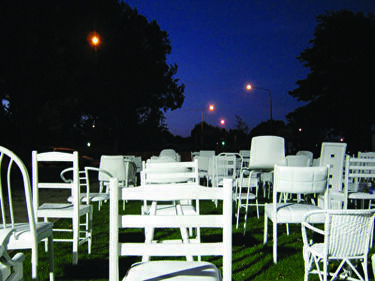 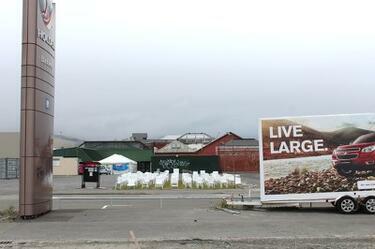 A photograph of Peter Majendie's memorial artwork '185 Empty Chairs' on Madras Street.